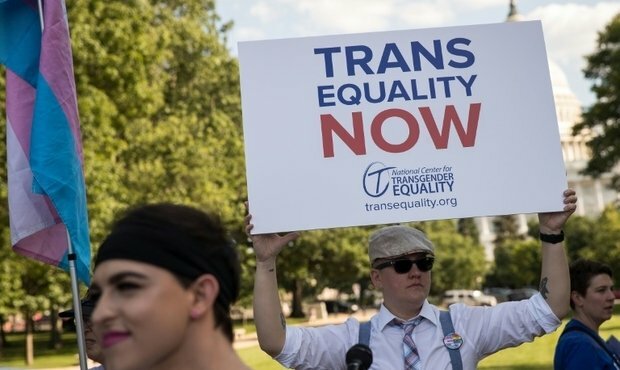 Justice minister Felix Braz has claimed the new legislation on changing gender would be one of the most progressive in the world by allowing transgender people to be who they are. The new legislation was passed with 57 votes and will replace the legal process for changing gender with an administrative one. Bill 7146 was passed in Luxembourg's parliament (Chambre des Députés) on Wednesday morning. The new legislation will make things easier for those people who feel they have a different gender identity to their assigned gender. The draft bill specifically focuses on facilitating the process of changing your gender for transgender and intersex people. According to the draft bill, medical advice or certificates will no longer be mandatory. During the session, speakers mentioned the earlier difficulties of involving the authorities, medical practitioners, and parents in the process. The result of this led to those concerned suffering both physically and mentally. In his speech, Braz stressed that transgender people are not sick. He went on to say that "we as a society are making them sick by not making it possible for them to have their own autonomy." He detailed that the lengthy process was detrimental to those hoping to legally to change their gender, which is why the new draft bill would make the process faster. Braz also specified that there was no need for the legislation to have a medical context as transgender people are not sick. The support for the draft bill was strong throughout the Luxembourg's parliament. The CSV had proposed similar legislation two years ago, which was not quite as radical in its measures. Many members of parliament asked about the next step, which would be to recognise a third option for those who identify as non-binary. The only party to take issue with the legislative text was the ADR. The party was concerned about sections dealing with children that would like to change their gender. Specifically, ADR MPs took issue with the fact that children (or their parents) could choose to change their gender from the age of five. Citing that both smoking and sexual majority had a minimum age of 16, ADR members believed that this clause could eventually lead to parents taking advantage of it. According to Fernand Kartheiser, parents who had a son could go to extreme lengths to ensure they had a daughter. As a result, the members of parliament for the ADR voted against the legislative text. All other MPs passed the draft bill.